The Arts University Bournemouth (AUB) is a higher education corporation, established under the Education Reform Act 1988. As an institution it has existed since 1887, and was granted status as a higher education institution in 2000 as the Arts Institute at Bournemouth (AIB) in accordance with the Further and Higher Education Act 1992. Following the award of its own taught degree awarding powers by the Privy Council in 2008, it formally adopted the status of The Arts University College at Bournemouth (AUCB) on the 1st July 2009. 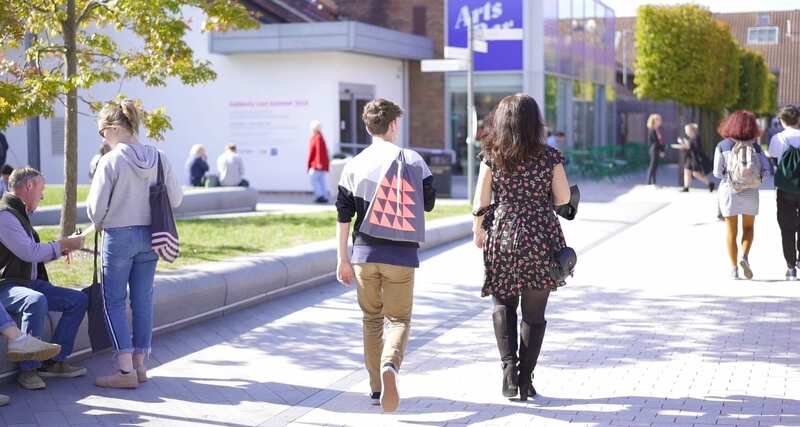 On December 7th 2012, with a change to legislation, the Privy Council awarded AUCB full university status and the institution adopted the title the Arts University Bournemouth. The Board of Governors is the University’s governing body, established in accordance with the University’s Instrument and Articles of Government and from which the Board derives its powers. The majority of its members are drawn from outside the University and are referred to as independent members, although staff and student members are also elected to the Board as co-opted members. The Board comprises 17 members including the Principal and Vice-Chancellor. In order to discharge its obligation to be unambiguously and collectively accountable for institutional activities and make all final decisions on matters of fundamental concern within its remit, the Board has established the following committees: Audit & Risk Committee, Estates Committee, Finance & Resources Committee, Human Resources Committee, Remuneration Committee and Search & Governance Committee. The Board of Governors has established a Remuneration Committee to consider the pay and total emoluments of the University’s senior postholders. The Remuneration Committee determines the conditions of service and remuneration of the Principal and Vice Chancellor; and assures itself that the University’s employment policies in relation to other senior postholders are appropriate. The Principal and Vice-Chancellor, through the Senior Management Team, is responsible for the executive management of the University, supported by a number of executive committees. The Academic Board is the University’s principal academic authority. Subject to the responsibilities of the Board of Governors and the Principal and Vice-Chancellor, the Academic Board has oversight of academic activities, including: assessment, learning and teaching; and research/knowledge transfer and scholarly activity. The Faculty Boards are responsible to the Academic Board for overseeing academic activities in each faculty. The University is an exempt charity for the purposes of the Charities Act 2011. It is subject to charity law but is not regulated by, nor required to register with, the Charity Commission. The Higher Education Funding Council for England is designated as the ‘Principal Regulator’ for the institutions it funds and has a general duty to promote compliance with charity law. These powers constitute the objects of the University. The charitable purpose of the University, as defined in the Charities Act 2011, is the advancement of education for the public benefit. The Trustees of the University are members of the Arts University Bournemouth Board of Governors. The University’s financial year runs from 01 August to 31 July. The University is VAT registered. The University’s VAT registration number is AUB is 619 5281 26. The University is partially exempt from VAT legislation as a supplier of education and research. By virtue of its charitable status, the University is exempt from corporation tax on its primary purpose activities. The Arts University Bournemouth has a number of subsidiary and associate companies that carry out non-primary trading purposes, the latter one below being a charity:? The University’s governing documents – equivalent to the Memorandum and Articles of Association of a registered company or the Charter and Statutes of a chartered institution – are the Instrument and Articles of Government. Information about the University’s finances and its audited financial statements can be found on the Annual Report and Accounts page. The emoluments of the Vice-Chancellor are given in this document on page 32.